J.W. Norman serves as an Elder and the Staff Pastor of Preaching & Teaching. He was born and raised in the rural suburbs north of Columbus, Georgia. J.W. married his wife, Trudi, in 1994, and they are founding members of Berean Covenant Church. Trudi also teaches inductive Bible studies for ladies and children, and serves as secretary and pianist. J.W. graduated from Columbus State University in 1990 with a Bachelor’s Degree in Marketing and a Master’s Degree in Business in 1992. He worked for one of the world’s largest electronic payment processing companies, TSYS, Inc., for nineteen years. His responsibilities as Director of Instructional Technologies involved managing a team of instructional designers, videographers, and web designers. In 2006, he received The President’s Circle award, the company’s highest employee recognition. He also served for five years as a facilitator for the company’s behavior skills and leadership training program. J.W. taught Sunday School and Bible studies, and served in many leadership capacities beginning in his late teen years. He began preaching part-time in 2001 and became an elder in 2003. He has been full-time pastor since 2011. He loves expository (verse-by-verse) preaching and teaching, and is currently preaching through the book of Matthew. Since 2001, He has taught over twenty inductive Bible study courses written and distributed by Precept Ministries International. These include the books of Romans, Revelation, Hebrews, and most recently, 1 John. The Lord has given him a burden for those who are religious, but not genuinely converted, and for believers who are not studying His Word on their own on a consistent basis. 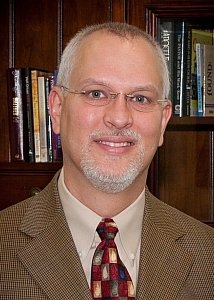 Cheyne McLean serves as an Elder and the Staff Pastor of Counseling & Pastoral Care. He was born in Ocala, Florida but raised locally in Phenix City, Alabama. Cheyne married his wife, Teresa, in 2008 and they have 4 daughters: Kinsley, Maddelyn, Mallory, and Laina. They have been members of Berean Covenant Church since 2010. Cheyne graduated from Troy University in 2005 with a Bachelor’s Degree in Geomatics. 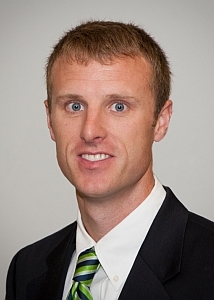 He is currently the Director of Research and Development at Becker Survey Company in Columbus, Georgia, and has been in the industry of Land Surveying/Engineering since 2003. In 2004, while attending Troy University, Cheyne’s heart was changed and eyes were opened to the truth of the Gospel. Since then, through the sanctifying grace of God, Cheyne has had an ever-growing passion to serve Christ and the local church. Before being installed as an elder, he served as a deacon for 2 years and currently assists with preaching and teaching the Word of God.